Sally K. Albrecht / Andy Beck: On The Stage! ON THE STAGE! is the sixth offering in Alfred's "Choral Movement Series." 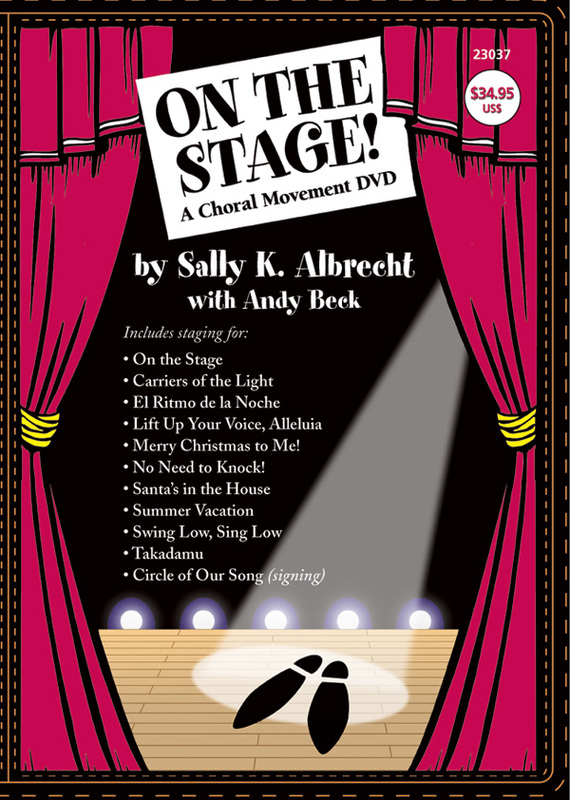 Join popular Alfred editors, composers, choreographers, and clinicians Sally K. Albrecht and Andy Beck as they take you step by step through staging suggestions for 11 Alfred Choral Desgns titles. The movements are so easy to see and learn, as Sally and Andy are able to demonstrate counterpoint movement simultaneously! Perfect for 2-Part choirs (Part I vs. Part II) as well as for mixed groups ("men vs. women" staging), this DVD is jam-packed with fresh and fun staging ideas for choirs of all ages and sizes.